CLICK HERE TO BOOK YOUR STAY NOW!! Kandy City Hostel is a beautiful big house just outside the city that has been fully renovated into the funky open space hostel that it is today. Featuring dormitories as well as private rooms, this hostel is a budget friendly option for your stay in the mountain city of Kandy. The UNESCO Listed city of Kandy is home to one of Sri Lanka’s most sacred temples, the Temple of the Tooth Relic. It is also surrounded by beautiful countryside with tea plantations, temples and National Parks. The city itself is a hive of activity, centered around a beautiful lake on the edge of which sits the Temple of the Tooth. ​Kandy City Hostel has a relaxed atmosphere with plenty of cool little places to chill out. The sofas and light fittings made from old wooden pallets and the red and white theme throughout give the hostel a modern, funky vibe. The self-catering kitchen is perfect for enjoying the complimentary breakfast or preparing your own meals and a washing machine is available for guests to use for a nominal fee. 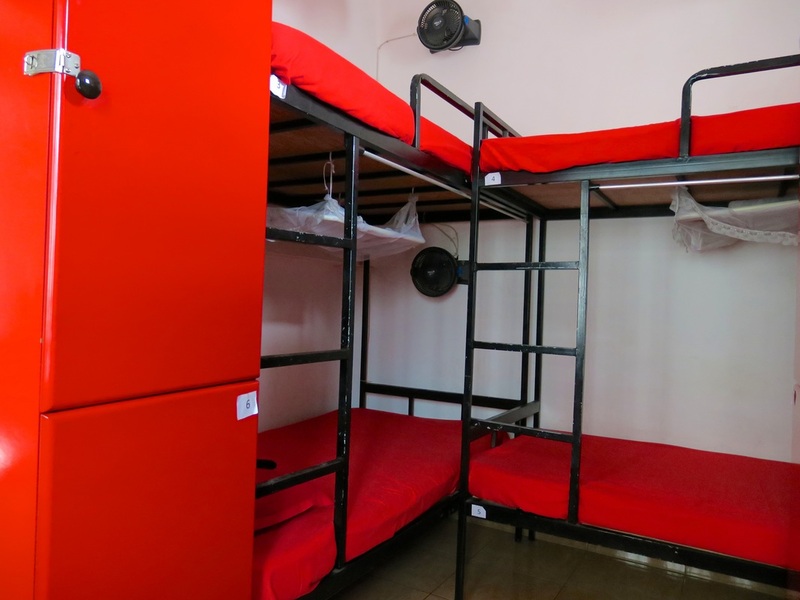 All private and dormitory rooms come with large, lockable storage cupboards and air-conditioning. 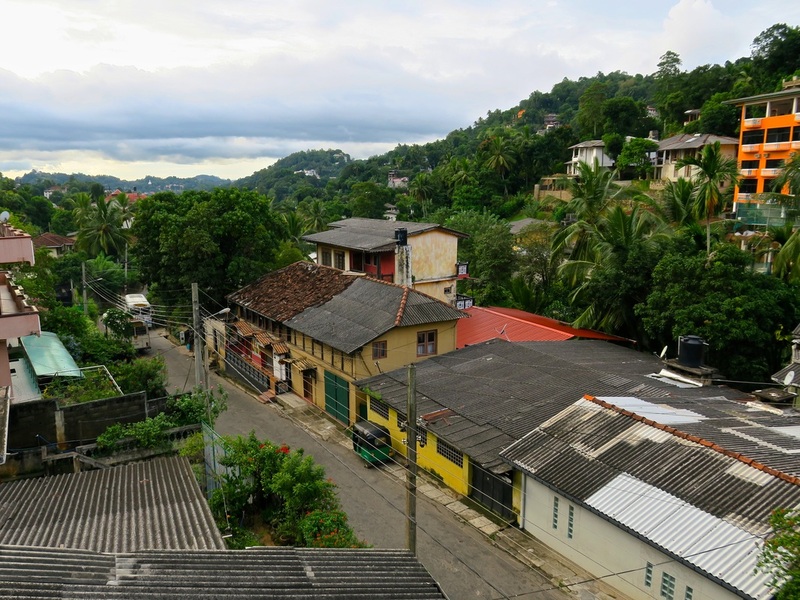 The front facing rooms have gorgeous balconies with a view down the road into Kandy City. There are five clean, shared bathrooms scattered throughout the hostel, with a toilet and cold-water shower in each. A sixth bathroom is attached to one of the dormitories. The free Wi-Fi is reliable and fast and works well throughout the hostel. 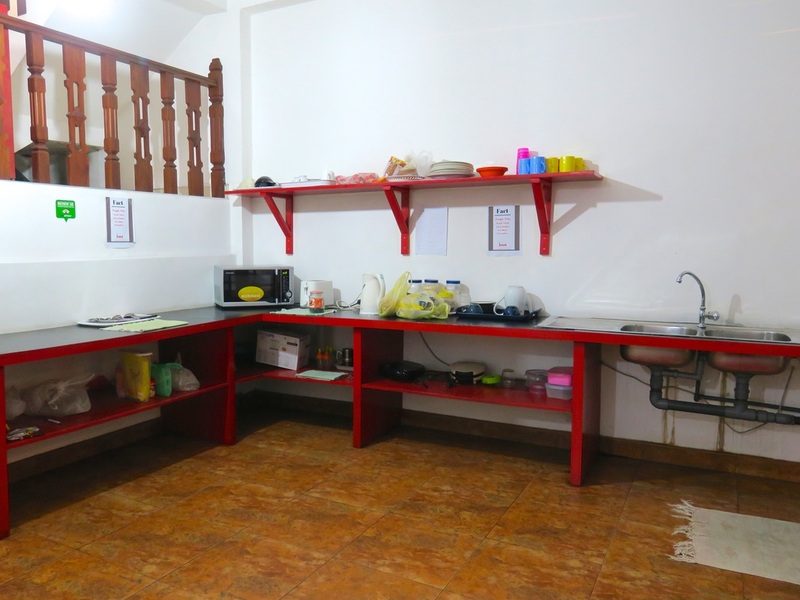 The hostel provides plenty of information on activities and places of interest in the city and also has a whiteboard with daily activity suggestions for those interested in venturing out as a group. There is a small library of books and maps as well as some board games for guests to enjoy. The hostel also has a drinks fridge where guests can purchase soft drinks, beer or water. In the future, guests can look forward to the full benefits of the fabulous rooftop area, which is currently useable but incomplete. With views over the city and a great open air “cinema” this is definitely something to look forward to! While we visited during the low season, we had a great time and met some cool people during our stay. All text and images displayed on this website are the original work and property of Wade and Sarah Harris unless otherwise specified.